There's so much to do during a Ecuador honeymoon—check out these top tips and places to visit. Thinking about an Ecuador honeymoon? You’re in for the trip of a lifetime. 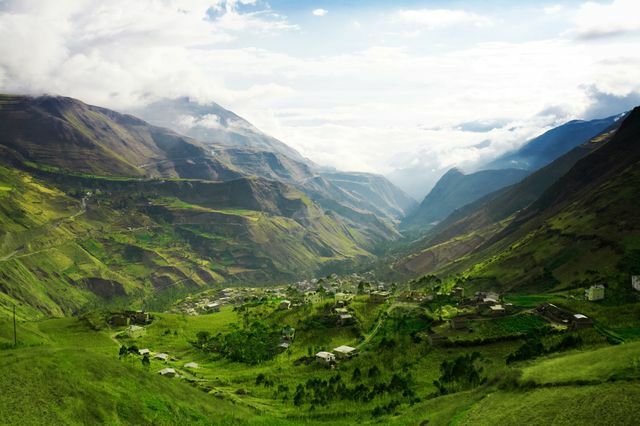 Ecuador might be one of the smaller countries in South America—it’s only about two times larger than the state of New York!—but it boasts more varied landscapes and diverse activity than other countries twice its size. The fact that it’s located across the equator, the geographical feature for which it is named, is pretty cool, but that’s not the only fascinating fact about this Latin American country. Did you know that it is also the closest country to space? When you think about the fact that the Earth is shaped in a sphere, this fact makes sense, since it extends farther out into the universe than the northern and southern parts of the hemisphere, but it’s still pretty cool when you consider it! 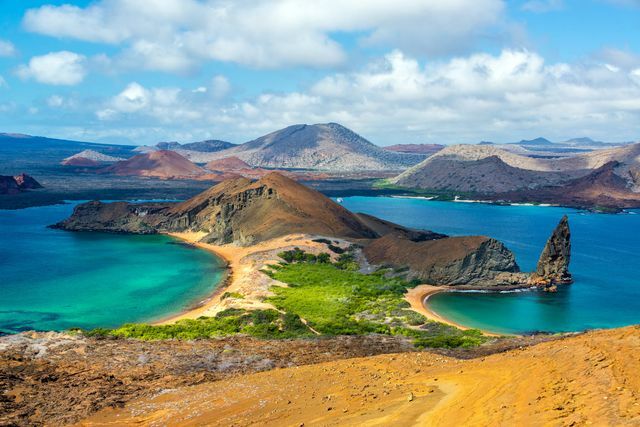 In other interesting news, Ecuador is home to some of the world’s very first UNESCO World Heritage Sites, the Galapagos Islands being number one. If these fun facts aren’t enough incentive to get you excited about a honeymoon in Ecuador, maybe the rest of our Ecuador honeymoon guide will. Bon voyage! Given its location, smack dab in the center of the Earth, it’s no surprise that Ecuador’s seasons are unlike any other. In fact, Ecuador only experiences two seasons a year—a wet one and a dry one—and the temperature is relatively the same throughout. Naturally, the best time of year to go is during the dry season, which tends to span from June through September. The weather also tends to be warmer around this time, of course, just slightly, but it’s worth mentioning that this is the busiest time of year to for an Ecuador honeymoon. If you’re trying to escape massive crowds of tourists, you might want to consider months closer to the wettest time of year, which tends to be January through May. Chances are, you’ll fly into the city of Quito, which is Ecuador's capital. But don’t rush out too soon, since there’s much to see and do in this ancient Incan city. It’s known for some gorgeous sites, from centuries-old churches and European architecture to high mountain peaks and active volcanoes. Spend at least a day exploring the Old Town, browsing markets and soaking up the charm of the locals. Visit the Ciudad Mitad del Mundo, in the city’s very center, as well as some of the famous churches including Basílica del Voto Nacional, Compañía de Jesús and Iglesia y Convento de San Francisco. For some truly astonishing nature sightings, visit the Cotopaxi National Park, known for its active, snow-capped volcano and picturesque Limpiopungo Lake. Make sure to save the bulk of your Ecuador honeymoon for the Galápagos Islands, one of the most fascinating nature sites in the entire world, particularly for wildlife viewing. The Galápagos is fairly large, however, spanning about 3,093 square miles, so you likely won’t be able to visit every single corner. Some highlights to see include Santa Cruz Island, which is known for its sandy beaches and endangered wildlife, including giant tortoises. Head to San Cristóbal Island to catch some sunbathing sea lions, as well as water sports such as surfing, swimming and snorkeling. This southern city in the Andes mountains is known for its gorgeous river waterfront, centuries-old churches, museums and handmade crafts, particularly the Panama hats. Don’t miss the stunning New Cathedral of Cuenca as well as the Old Cathedral of Cuenca, which served as the main place of worship during the period of Spanish colonization. Top museum sites include Museo Manuel Agustin Landivar, Museo de las Culturas Aborígenes and Museo Pumapungo. Nature lovers will want to take a day trip to El Cajas National Park during their Ecuador honeymoon. This high-altitude area is chock full of evergreen forests, hundreds of lakes as well as fascinating wildlife.